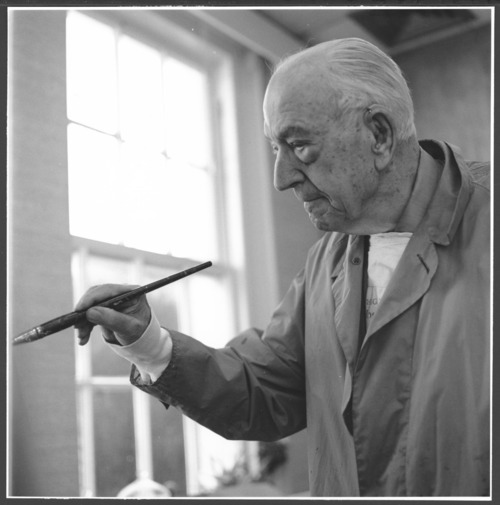 Dr. Karl Menninger is shown painting a picture, a hobby he pursued in later life. He, his father, Dr. C.F. Menninger and brother William C. Menninger estabished the Menninger Foundation in Topeka, Kansas. It was moved in 2003 to Houston, Texas.